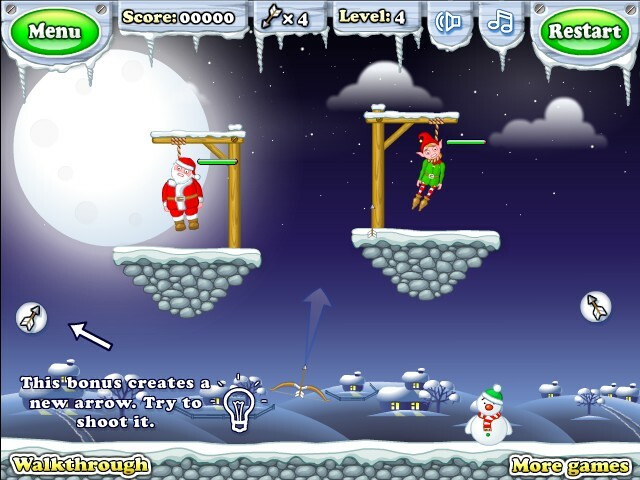 Christmas Aim And Shoot Physics Puzzle Notdoppler Click to find more games like this. Cheat: Keyhack 1 add ammo, 2 next level. Keyhack 1 add ammo, 2 next level. 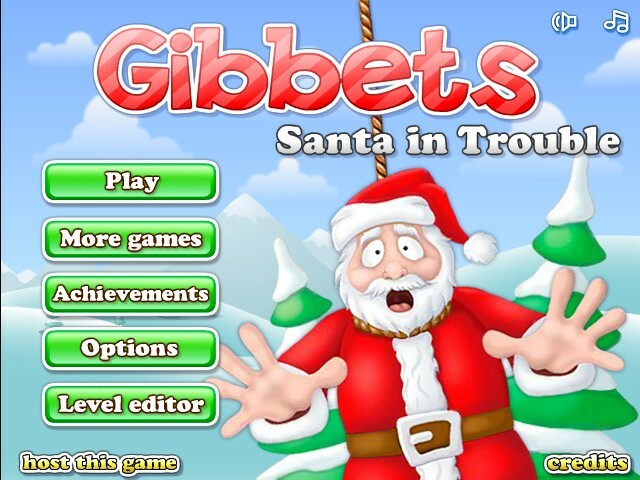 Santa and his friends are in trouble! Its up to you to shoot an arrow at the rope thats hanging them and release them before they die! 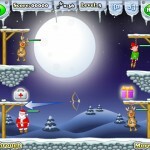 Aim with your MOUSE and choose how much power you want in your shot, CLICK to shoot your arrow! You've got limited arrows so don't waste them! 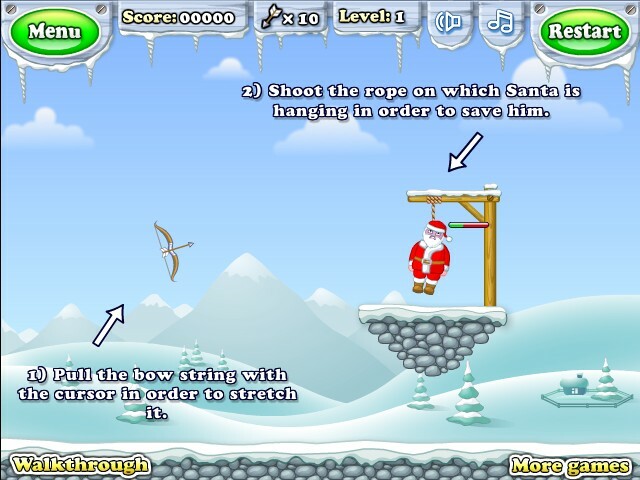 Look for gifts and shoot at them to pick up extra points! 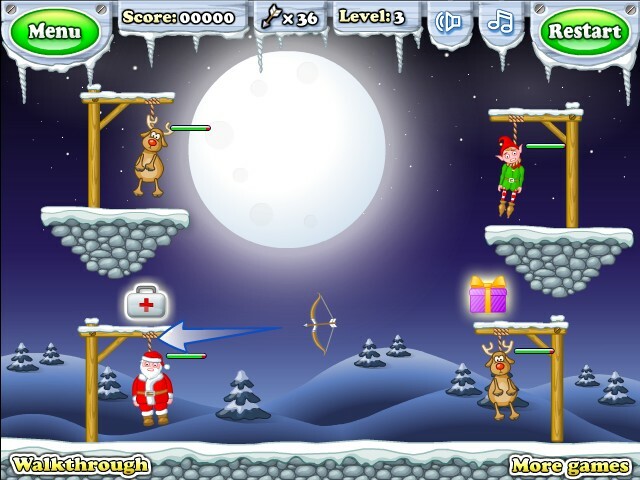 Sometimes you'll find some bubbles with arrows in them, these can either give you more arrows or can shoot an arrow towards another direction to cut a hanging christmas buddy! 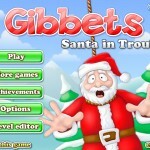 Sometimes you'll encounter bonus levels where you should try and collect as many gifts as you can.